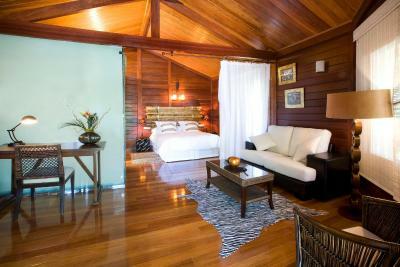 Lock in a great price for Complejo La Cigüeña – rated 8.1 by recent guests! Everyone was truly friendly. Very quiet and spacious. Love the rooms, very eclectic. there was a situation with my bags at the airport and the young lady at the front desk work until 12 a.m. to find where my bags were so that I can go get them after 2 days of the airport losing them. She went above and beyond and I would definitely but here again. The hotel is made up off several bungalows. So you'll have enough privacy. 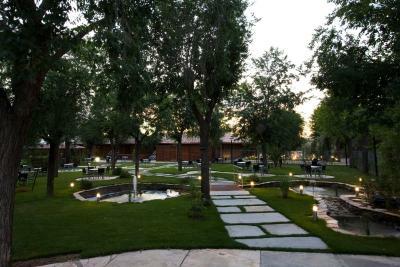 It's also a very quiet place and you can definitely get away from the hectic city atmosphere. The the pool is generally clean and also spacious. I like the concept of the bungalows. They are cute and each has a different design based on countries I believe. 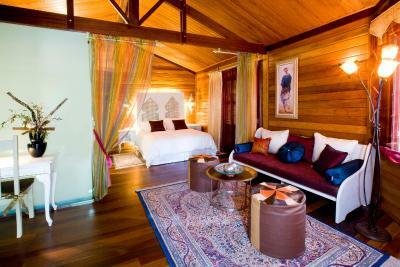 We had a bungalow with a Moroccan theme. There's a mall (H2O) 5 minute driving distance from the complex. There you'll have plenty of food choices. Comfortable bed, nice linens, easy to park, lovely grounds. we stayed here for the night before flying out of madrid and had a hire car - so it was perfect, easy to get to with the car and a short drive to get to the airport. have stayed here before and the units are spotless and well maintained. I loved the breakfast and the restaurant's staff they where really kind and helpful. It's a relaxed environment. 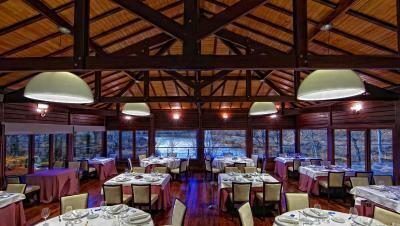 The interior and exterior design off the house and the resort looks romantic and beautiful . The location was perfect for us as we were traveling around Madrid. If you want to escape from cities then just stay in this hotel. The bed was terrible mattress really uncomfortable. Took us 30 minutes to find someone to check in. Meal was over priced but location suited our needs for 1 night. Will never stay there again or recommend it to anyone. The cabin setting was nice in a quiet garden area and we were able to park outside. The grounds were secure and we were able walk around and visit the separate restaurant and bar. They obviously cater for a lot of wedding receptions but in October this was not a problem. It's a beautiful place. Very Rustic and beautiful grounds. (This is a cabin) . The breakfast was good. 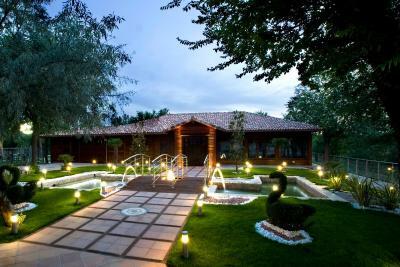 Complejo La Cigüeña is a large complex located in the Sureste Nature Reserve, 16 mi outside Madrid. 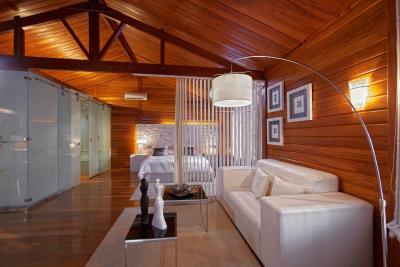 It offers an outdoor pool and stylish bungalows with a hydromassage shower. 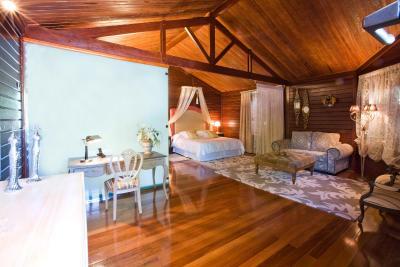 Each modern bungalow is equipped with air conditioning, heating and a flat-screen TV. Each one includes design features from one of a range of influences, from Japanese Zen design to African Safari. The Cigüeña Complex has 2 restaurants serving innovative Mediterranean food, and there is also a lakeside bar and chillout tapas bar. 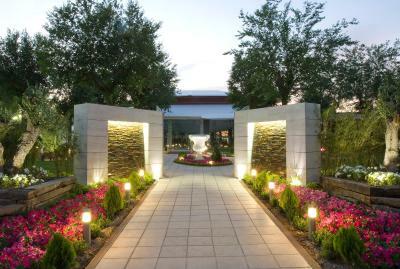 You can relax with a drink in the attractive landscaped garden. You can drive to central Madrid in just 20 minutes from Complejo La Cigüeña. Here you can find the Reina Sofía and Prado Museums as well as plenty of vibrant nightlife. This property also has one of the top-rated locations in Arganda del Rey! Guests are happier about it compared to other properties in the area. 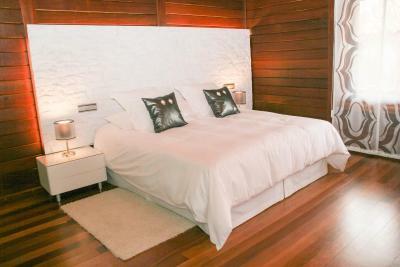 When would you like to stay at Complejo La Cigüeña? This stylish bungalow is equipped with air conditioning, heating and a flat-screen TV. There is a spacious living area and a private bathroom with a hydromassage shower. There are 2 single beds in this bungalow. 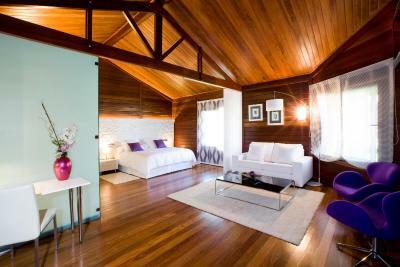 This stylish bungalow is equipped with air conditioning, heating and a flat-screen TV. 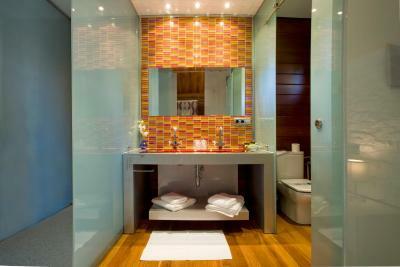 There is a spacious living area and a private bathroom with a hydromassage shower. Bungalows feature design from one of a range of influences, from Japanese Zen design to African Safari. 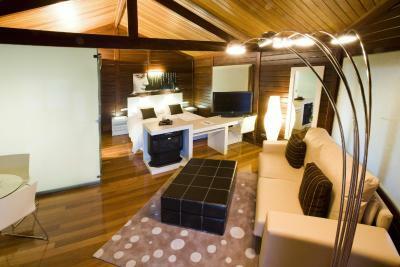 This stylish, spacious bungalow is equipped with air conditioning, heating and a flat-screen TV. There is a living area, a private bathroom with a hydromassage shower, and a terrace offering views of the surrounding countryside. House Rules Complejo La Cigüeña takes special requests – add in the next step! Complejo La Cigüeña accepts these cards and reserves the right to temporarily hold an amount prior to arrival. Please note that children older than 12 years old will be considered as adults. Big bungalow ideal location plenty of hot water in the shower. Had fridge and safe good value for money. on our previous visit we had the double cabins near the front entrance, which are much nicer and bigger than the twin cabins we were allocated at the rear of the park this time. still good enough, just not as nice as the cabins we had on our first visit. I got really disappointed because when I arrived they put in me in the worst bungalow in the end of the resort. The toilet was dirty and the room was really cold as the air conditioner wasn't working. I was really disappointed the hole day thinking that the bungalow wasn't worth all that money. In the end of the day I was looking for the safe box and then I realised that I didn't had one and then I read my booking confirmation and yah I should had a safe box, telephone and also a sofa in my room, and I didn't had any of this itens, then I realised that they put me in the wrong room. At 23:30pm I was in the cold trying to solve with the reception and he confirm me that yah I had paid for a deluxe room and they had put me in an inferior one. He was polite and solve the problem for us. The deluxe room was totally different, much better quality and looked posh and clean, the only thing that annoyed was the bad small that I think was to be close for so long. I did the check in at 2:00pm and I stay in a much inferior room that I had paid until 23:30pm so basically I wast time and money, also patience as I had to move all my belongings at 00:00 am to the correct room. Ripped sheets. Beds in wheels which moved away from wall if you tried to sit up in bed. Noisy heater which kept usaje so turned off but then cold in room. Not many people in iccuostuon yet we we're put into a bungalow at the back of the so and put into tgebungaliw with tgeirst view (looking directly at the side of another bungalow). Internet didn't work nist if time as low signal. Table Lamp and 2 over bed lights did not work so reported to maintenance by staff who only replaced table lamp but did not return with other 2 bulbs. Breakfast was awful. Selection of bread was mostly very hard so could not trust anything else which was 'fresh' eg. Fruit or pastries on display because it was obvious the food had been on display for a long time. 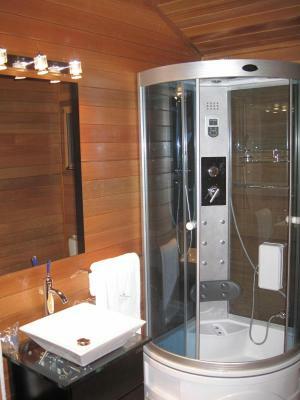 The cabin lighting was poor and the integral bathroom with its glass walls and sensor lighting system was difficult to control. During our visit we could not get rid of stagnant water smell coming from the bathroom. Pool area was closed all the time. restaurant kitchen was closed at 20:00pm No chance to get any food after 19:00-20:00. There is no bar or restaurante around 5km. or more km. (only gas station) Very bad expearence! Only gas station near the busy road. I’ve stayed here twice before,loved it,so re booked. However, this time, our bungalow stank of damp, got in the shower and began to flood the place. Someone came and the amount of hair in the plug was horrid and disgusting. No wonder the water wouldn’t go down! Our air conditioning wasn’t great so just didn’t sleep a wink! Such a shame as love this place, luck of the draw I suppose! I think they need to start up dating/ re decorating some of the bungalows. The pool is great and the actual surroundings great. The breakfast was awesome! 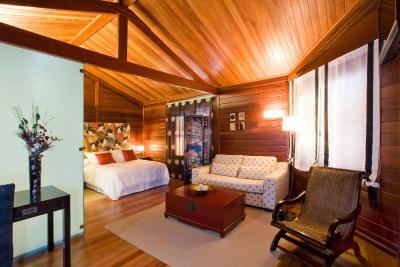 The bungalow my sons were in was fabulous! Swimming pool and very good restaurant. It is very difficult to find somebody who speaks English. Nice and very quite place. Large bungalow near a very big swimming pool. Fast wifi connection and friendly staff. The room we got was not as clean as I would expect it to be. The floor was dusty, as was the wardrobe. I had to clean the wardrobe. My white cloth came back grayish. There was block mold in the shower. Also the room service was not consistent. Knowing we were 4 people in the room, they usually would either give us two new towel or no new towel. The lighting in the room is definitely not sufficient. There is no main light that would light the entire room. There's several small lights in various locations in the room, but they are very dim. So for example finding something in my purse, bag, or suitcase I had to use my phone's flashlight. Only the bathroom was properly lit. But the moving sensors would switch off the lights after 30 seconds of no movement ... even in the toilet ... The staff was friendly, but I personally met only two people with whom I could have carried on a conversation in English. The rest spoke Spanish only! Also the guests were basically Spaniards only. I believe I saw ONE Polish, ONE English and ONE Arab family only. We stayed two weeks. Food wise, there was no big variety. Breakfast buffet was alright - nothing special. For dinner it was very difficult to find something without pork. We ended up having breakfast at the hotel only ... the remaining meals we had outside. Reception was great especially Liz.